For the 1st Time in 3 Years the Eagles can’t call themselves County Champ’s as they lost by 3-points to Hoggard at the New Hanover County Championships at Olsen Park this pastThursday. While the weather was fairly perfect with 61 degree temps and a fairly strong breeze the course had several areas of standing water which turned into thick mudd, causing several falls, slips and extra laundry for parents. The 1st race up was the boy’s varsity race, in which Laney’s Calvin Daughtry was never challenged taking the lead from the start and winning with a time of 16:30. There was a much tighter race after that which would determine the winning team. Graham Parker was able to hold off the Eagles Stephen Wilson and Daniel Lancaster to take 2nd Place with a 16:38. Stephen had a personal best time of 16:39 as did Daniel 16:40. The next 7 spots were equally as important in a race decided by 3-points. A pack of 3 Vikings: Nathan Sudduth 16:40.9, Ben Schmidt 16:50, and Andrew Irrera 16:53; held off a pack of 3 Eagles: Will Mayo PR 16:59, Cody Benton PR 17:10, and Joseph Harty 17:10. Hoggard’s 5th man Robinson Snider came in 11th Place 17:16 and helped them take the win. 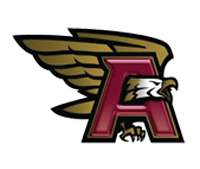 The rest of the Eagles times and Places in the Varsity Race were: 16th David Fletchner 17:54 PR, 18th Connor Snow 17:56 PR, 23rdVaughn Rizzo 18:13, 28th Rylee Smith 18:53, and 35th Adam Ortega 19:47. In the JV Race The Eagles Nash Best ran this race just like the previous 2 and took the lead from the opening 100 meters and never looked back. He won with a personal best time of18:41. Also winning the JV Race was the Eagles Rachel Luscher who was never challenged and won with a personal best time of 23:13. 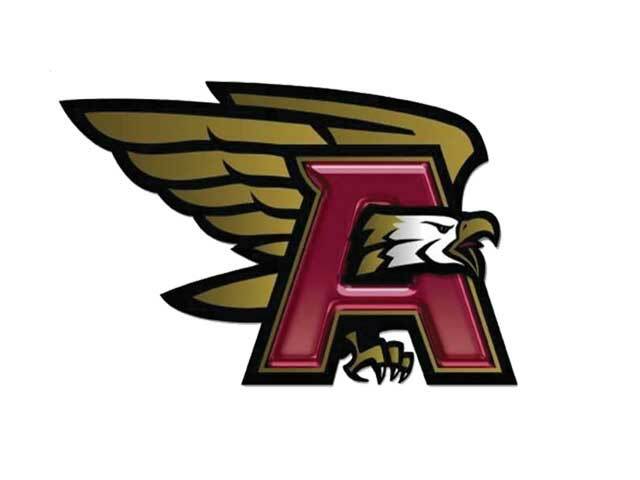 The rest of the Eagles times were: Boys: Avery twins James 19:18 and Thomas 19:25 both ran their personal best, Allen Rodrick PR 20:00, David Elrod 20:05, Marshall Skelton 20:!3 big PR, Nathan Mercer 20:49, Jeffrey Hubbard20:56, Robert Penna-Welch 21:03 PR, Peter Vogiatzis 1 minute PR 21:09, George Malahias21:10 PR, Nathan Ovall 21:19, Dylan Secero 22:58, Nick Galonka 23:00, Lucas Galonka23:54 1 minute PR, Cameron Seyer 24:18, Ritchie Bland 2:30 PR 25:11, and Alex Signorello also dropped a minute with a 26:21. The rest of the JV Girls Times were: Abigail Efting 24:20, Meghan Chinn 24:43, Madison Smith 25:49, Maggie Skelton 25:59, Maggie Shibley 26:10, Bailey Williams 26:14, Kennsleigh Ables 26:25, Mackenzie Allen 26:26 PR, Emilee Troutwine 27:16, Hanna Topping 27:17, Ashley Merritt 27:18 PR, Loring Penna-Welch 29:30 PR, Kaley Smith 30:11, and Chole Deets 30:12. The whole team will compete in 1 last meet together next Thursday, October 17th when Hoggard hosts the Mid-Eastern Conference Championships at Hugh McRae Park. Boy’s Varsity is at 3:30, Girl’s Varsity at 4:00, JV Boys at 4:30, JV Girls at 5:00.